Today I am thrilled to welcome Carol Fiore to part 19 of our Women Working in Nature and the Arts series. Carol Fiore is the author of three books and several magazine articles. 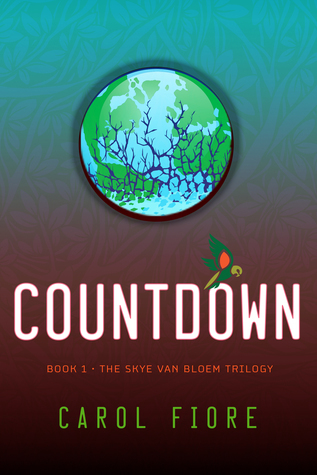 We’ll look at her most recent YA novel Countdown, which is the first in her Skye Van Bloem series. Carol is the widow of Bombardier Experimental Test Pilot Eric E. Fiore and a licensed private pilot in single-engine land airplanes and gliders. Carol holds three science degrees; she has taught students of all ages including the university level. Carol’s books are published by Flying Kea Press. She maintains scholarships and programs in her husband’s memory and teaches environmental education classes in her community. She is an avid long-distance runner, birdwatcher, and animal lover. Carol is passionate about traveling and is available to give speeches to your group. She loves to hear from readers and appreciates reviews. Mary: First, maybe a tough question: you are a widower, and some of your work carries your late husband Eric’s legacy. He was an experimental test pilot. How did his life and work influence your work now? Carol: Eric was my fairytale prince, with an attitude. A New Yorker of Italian descent, he was fiery and passionate and wildly funny. We were married for over 20 years and when he was killed as a result of a plane crash, my world ended. I always knew his job as an experimental test pilot was dangerous, but as a licensed pilot myself, I knew intimately how exceptional his flying skills were and I reasoned that nothing could ever hurt him. He was not flying the plane when it crashed. Eric’s dying wish was that I tell the world about him. He had a rather large ego, a requirement for a former F-15 fighter pilot. After his death, I suffered from an extreme form of grief and when I finally got out of bed, my first stop was a writing group. I asked for someone to write his story. A weathered old man said, “Write your own damn story. That’s what Mark Twain would tell you.” I replied that I had three science degrees, not a creative writing degree, but this old, cantankerous man convinced me to write a short story for the group. A week later I read it to them and received a standing ovation. The old guy and I became friends, and he and his wife were like grandparents to my two young daughters. With their encouragement, I went back to school to learn to write. Over a decade later, I published Flight through Fire. The dedication page reads: For Eric, here, finally, is my promise. The book took 12 years to publish, but the minute it was, I started to get better. A short time later, I published a second book—a grief self-help book–and I wrote articles for Grief Digest Magazine. Eric weaved his way through everything I wrote. He was a kind, giving man who adored animals. Every day I try to perform a small act of kindness, in his memory. I donate all the proceeds from the first book to charity, and I have sent 18 children, fully funded, to Space Camp. I think Eric would be pleased. A strange thing happened along the way to keeping my promise to tell the world about Eric. I fell in love with writing. Mary: I am so sorry about your loss and think what you’re doing, and how you have managed, is incredible. You have three science degrees and have taught and remained active politically, for the environment. Can you tell us about your life now, your experiences with activism? Carol: I have always been a part of the conservation movement, starting from a young age when I was enamored of the woods and took great care not to injure or harm wildlife. I became a vegetarian early in my adult life because I didn’t want to eat my friends. Eric and I donated money to environmental nonprofits, even when we couldn’t afford it. We were mindful of how our purchases impacted animals and the planet. And when I switched careers from computers to zoo-keeping, Eric was completely supportive. From there I went into zoo education, wildlife rehabilitating, and humane education. I continued to work with environmental nonprofits: signing petitions, educating, donating. Since January 2016, I have watched public lands being stolen, environmental deregulation, science and climate change deniers holding key positions, and the attempted gutting of the Migratory Bird Treaty Act and the Endangered Species Act—two driving forces of my life. Not only do I march and sign petitions and regularly write and call my elected officials, I volunteer at a local zoo. I write about conservation, and I support others who are working towards saving Earth. I donate most of the proceeds from the sale of Countdown to environmental nonprofits. I can live with less money, but I can’t live in a world without biodiversity. Mary: Everything you do is amazing! You are an avid hiker–where do you like to hike, and what are some of your favorite experiences? Carol: One of the reasons I moved to Tucson is because of the hiking. When I’m outside, hiking and watching wildlife (particularly birds), I am as happy as I can possibly be. Grief is an emotion that I live with every single day, and nature is my medicine. I live close to several beautiful hiking trails, and I try to be on one of them at least once a week. I get my best writing ideas when I’m hiking. I am a former long-distance runner, but due to knee issues, have replaced the speed and competition with more contemplative hikes. My favorite place to hike is in New Zealand, on the South Island in Fiordland. My favorite bird, the kea, lives there, and seeing it in the wild for the first time was the best day of my life since my husband died 18 years ago. I stood at the top of Mackinnon Pass and giggled as two of these naughty parrots tried to open my backpack. I actually took care of a couple of them when I was a bird zoo keeper about 25 years ago, so I have had a long love affair with them. Eric had always promised to take me to see them in the wild, so I felt as though he would have laughed alongside me, on the top of that mountain, in the bottom of the world, in my favorite country. The best hike I have ever done is the Milford Track, and my protagonist does it too, guided by three naughty kea. Mary: I get it totally about nature as a healer. Now to your most recent book Countdown, a YA climate change mystery that ranges from Colorado to New Zealand. What’s going on in this story? Carol: About 7 years ago, my youngest daughter, who now works in conservation, told me I should write a young adult fiction book. I had been working as a humane educator in Colorado, traveling around the county teaching children of all ages about environmental issues. My favorite kids were troubled high schoolers. I found they adored animals and were concerned about environmental issues like climate change and disappearing habitat, but they felt helpless to do anything about it. That is how the idea for Countdown first appeared. What if I created a protagonist, like my high school students, who loved animals and wanted to protect them but felt she couldn’t? And then what if I put her in a situation where she was forced to act? And what if I gave the animals of Earth the power to decide the fate of humans, instead of the other way around? And what if my reluctant protagonist was the only one who could convince the animals that humans could change and start protecting the planet? My daughter loved the idea, so I wrote a story for her and Countdown was born. I wanted to write something fun and powerful and hide environmental learning in order to push kids to care about the planet. And like so much else in my life, Eric managed to become a part of this too in the character of Starion. The book took a year to write and five years to edit. I almost gave up on it several times, but I have a wonderful editor named Lindsey Alexander who convinced me that the book was timely and important. I set the book in Colorado because that is where my daughter grew up. People from Loveland and Ft. Collins will recognize it. I felt it was important to write a YA book that exposed teens to places outside the US, so I sent my protagonist Skye off to the Australian Outback, and to New Zealand, on her quest to discover that she could become the hero that the planet needed her to be. Mary: Can you talk about the characters and how you were inspired to write them into the story? By the way, I have always been a fan of the name Skye. Carol: Several of my characters were inspired by real people, most notably the character Starion, based somewhat on my late husband. My protagonist Skye Van Bloem was difficult to write. I wrestled with her for years and would wander around the house, speaking to her. But she kept eluding me. I finally realized that I was trying to keep my own personality out of her and that was why it wasn’t working. It was when I finally gave Skye permission to be like me that she came alive. Perhaps Skye is what I aspire to be—faults and all. Janine was a fun character to write. 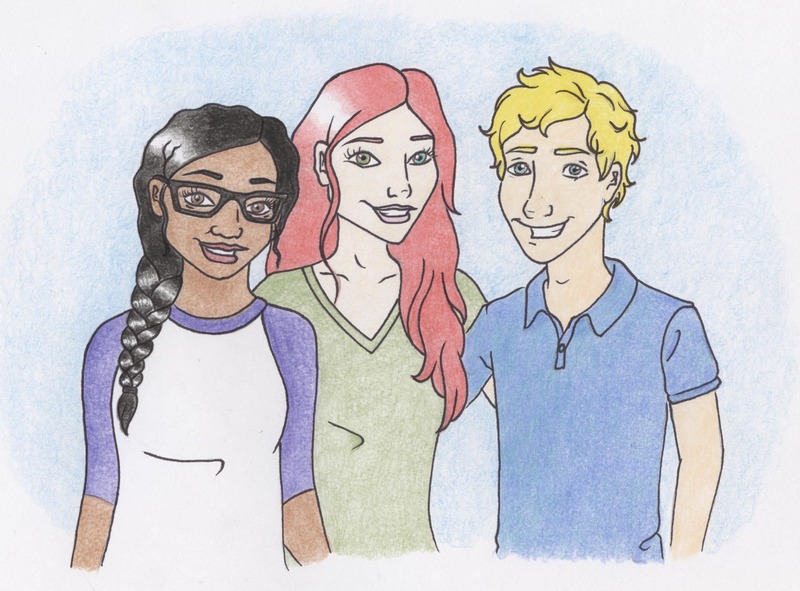 She is the science nerd that comprises the brains of the trio, with Skye being the soul, and Henry the heart. Henry is based on a boy from my daughter’s high school, but the gentleness and beautiful spirit I wrote into his character is the result of being around a dear friend who recently died of AIDS. Sadly, he was never able to read the finished book. The real antagonist of the trilogy only makes a brief appearance in the book, near the end of the story. He is a major character in the second book Holding. I imagined the worst traits in a person, and I had my character: an evil parent and someone who destroys the environment for personal gain. At its heart, Countdown is a book about the importance of diversity—in all its wondrous forms. Skye values animal diversity, but she also values human diversity. She has a friend of color and a gay friend. She meets people from other cultures and ethnic backgrounds, and values them for the richness they bring to the world. My greatest joy in writing Countdown was the incorporation of animal characters. I tried to steer away from cute animals, and instead focus on endangered animals that don’t get as much attention. Of course, there is a polar bear named Jackson (PBJ, for short) because these amazing animals are the poster children of global warming. I try to raise awareness for poaching, habitat destruction, plastics in the ocean, animal cruelty, sport hunting, pollution, and global warming through stories told by the animals. I was careful to keep the science accurate, while weaving a fictional story. My main animal character, Starion, is a prairie dog because they are my favorite mammals. They are threatened in Colorado, and after tearfully watching a colony destroyed, I decided to make Starion a prairie dog. And of course, there are kea—my favorite and considered by many ornithologists to be the world’s smartest bird. Incidentally, the word kea is a Maori word so the plural does not have an -s at the end. Mary: What the world needs now is more stories about climate change geared toward the younger generations, and this is a great story. Readers can read a sample chapter at Dragonfly’s Library (our sister site). We do seem to be in a real countdown now. How, in your mind, does fiction mimic reality, and how important is it for you to include environmental issues in fiction? Carol: The planet is definitely in a countdown right now. Over half of bird species are threatened. Almost half of all land mammals are under threat from climate change, and habitat is being destroyed at an alarming rate. Coral reefs are disappearing. Severe climate events, like floods and fires, are threatening homes and lives. I believe it is vital to include these sorts of environmental issues into fiction, particularly when it comes to global warming—the biggest threat facing our planet today. But there is hope, as my protagonist discovers. It is only by talking about these issues that we can raise awareness and act, because we must act, and soon. Mary: You just returned from the Al Gore training on climate leadership. What have you learned, and what are you working on next? Carol: I just returned from Al Gore’s climate leadership training in Los Angeles and am now a volunteer climate leader. I must state though, for the record, that neither him nor his organization endorses my book in any way, but I hope that he would approve of my attempt to weave the issues he cares so passionately about into a fun read. Perhaps one day he will read it. For me, that would be like winning the lottery! The training inspired me to work harder to help the planet. As a result, I am working to help pass an initiative on the Arizona ballot to bring clean energy to the state. The time for dirty energy is over, and if we are to save the planet by keeping the global temperature increase below 1.5 deg C, we all have a lot of hard work to do. That starts with using renewables, insisting our elected officials say NO to dirty energy, and encouraging others to adapt a more planet-friendly way of living: less waste, less driving, more solar and wind, to name a few. As I learned in the training, there is hope but we must get to work right away. The situation is dire. 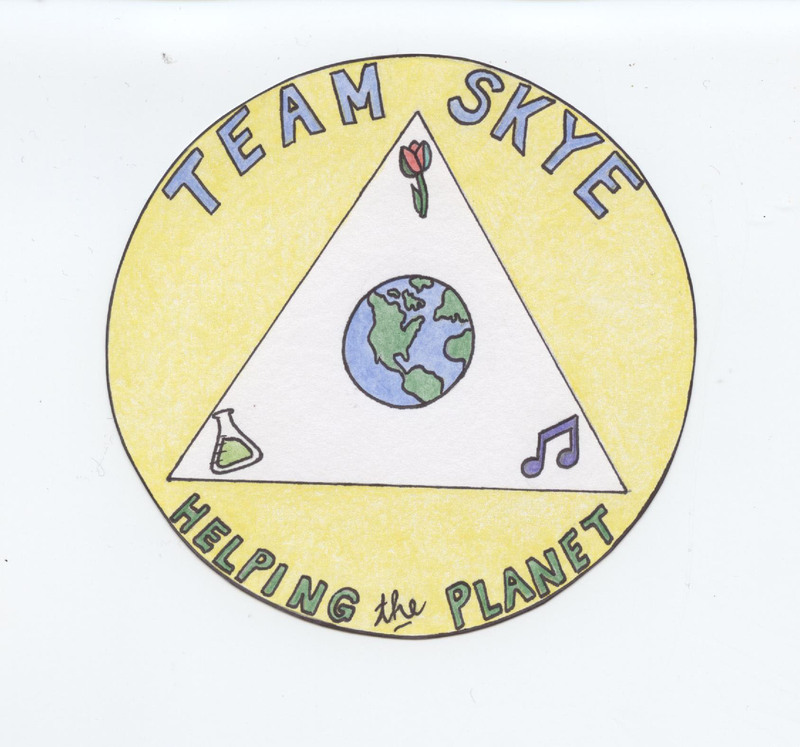 I set up a Facebook page for my protagonist, Skye, and a group called “Team Skye.” I post environmental tips and information regularly in an attempt to raise awareness for issues that are vital to the survival of so many wonderful species. And I am hard at work on the second book in the trilogy! Mary: Thanks so very much, Carol! I enjoyed learning about everything you are doing to take care of Mama Earth. Thanks for everything that you do.